The nebula surrounding bright star S Mon is filled with dark dust and glowing gas. The strange shapes originate from fine interstellar dust reacting in complex ways with the energetic light and hot gas being expelled by the young stars. 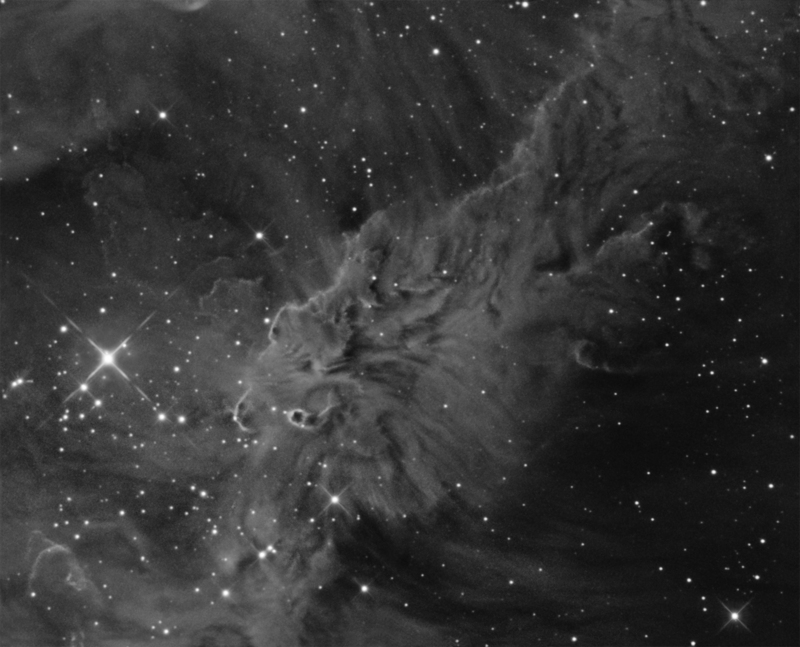 The region just to the right of S Mon, the brightest star in the above picture, is nicknamed the Fox Fur Nebula for its colour and texture. 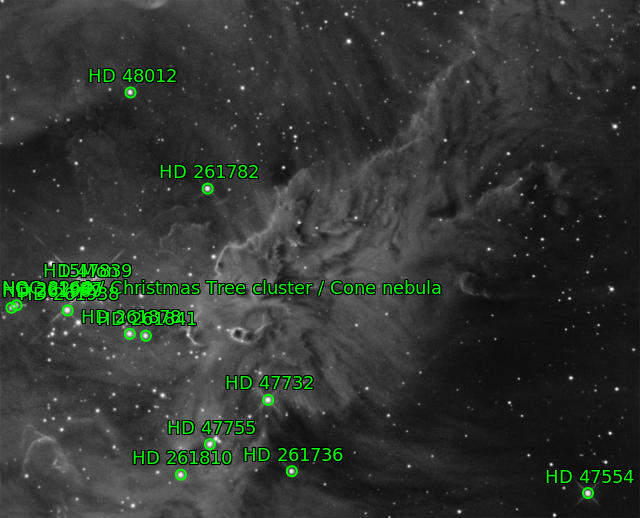 S Mon is part of a young open cluster of stars named NGC2264, located about 2500 light years away towards the constellation of Monoceros, just north of the Cone Nebula.